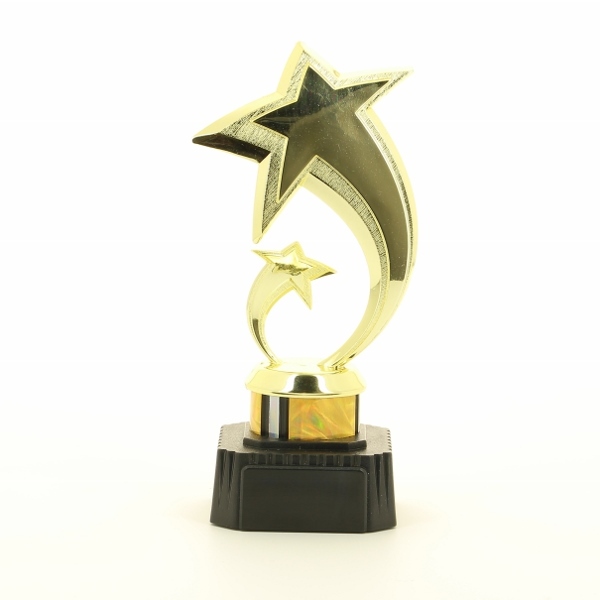 8.25 inch high gold Star Jubilation Award. The star figure is mounted onto a weighted black base. Comes with an engraved name plate attached with your required text.